I don't understand all of the grousings about the Royal Wedding last weekend. Some people complained because they just didn't like the bride. Ditto for the groom. One of my Facebook friends came up with a litany of other things to care deeply about - all of them tragic and sad. Still others in the States wonder why we care so much about what happened across the pond. Afterall, didn't we fight a war of independence to not care? To all of that, I roll my eyes and say, "Whatever!" As a Catholic woman, watching a Royal Prince of England take a new Anglican convert as his bride in the Church of England was still very satisfying in many ways. Here are 8 of them. 1. Hey - at least they got married! Cohabitation has increased 900% over the past 50 years. Data from 2012 shows that 7.8 million couples are living together without waking down the aisle. I have one son who could be considered living in a common law marriage if common law marriage was legal in Ohio! My fondest wish is for all my children who are called to it, take advantage of marriage in a sacramental union. 2. They got married in a lovely church ceremony too - not on the beach, in the woods, a hotel, or at the courthouse. They took time to say their vows in a house of the Lord, emphasizing the importance of including God in their union. 3. And include Him they did! God was a very major part of that ceremony. Whether you know anything about the politics of the preacher at the Royal Wedding, that sermon (homily?) was totally focused on God, as were all the prayers and blessings. There was even a nod to the Blessed Mother during a musical interlude that included Ave Maria. 4. The Royal Family is above all else, a family. And on the wedding day, we witnessed grandparents, parents, cousins, aunts, and uncles coming together to celebrate this wedding day. It was a family reunion. Isn't that something we as Catholics always long for with our own families? 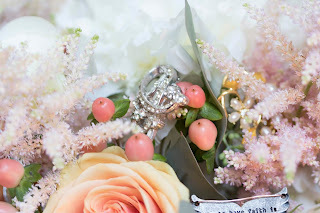 There were also little touches in memory of the groom's mother including her favorite flowers decorating the church (white roses) and diamonds from her collection in the new bride's ring. That's always one of my favorite parts of a wedding - nods of remembrance towards the past that helped the couple along the way. 5. As a wedding coordinator at church, I have seen some wedding gowns that would have been more appropriate at the reception or in the bridal suite! Not every bride can pull off a strapless gown and still look demure - although the majority of modern brides in my area have tried! The Duchess of Sussex proved that a bride can be just as lovely and spectacular in a dress that covers her arms and shoulders. She also illustrated that less can be more. All eyes were on her loveliness and not the complications of a big wedding gown. 6. The Catechism of the Catholic Church says that the human person has an openness to truth and beauty which can lead us to God. 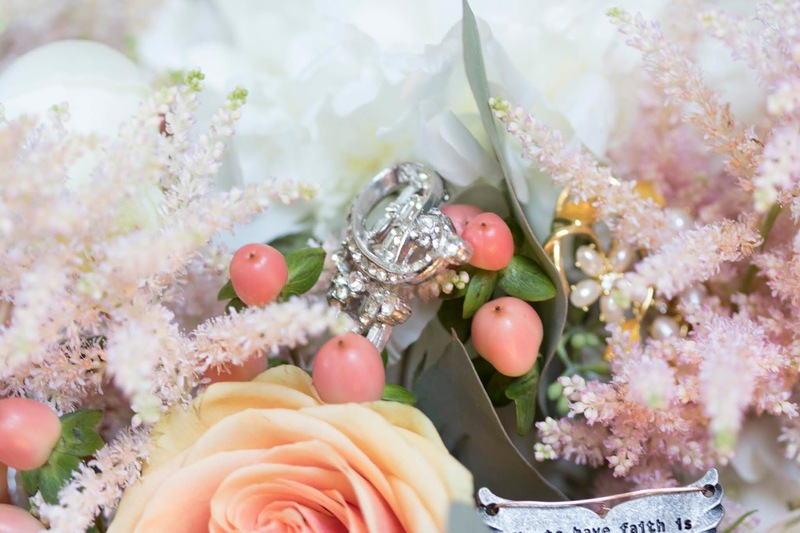 The Royal Wedding exuded beauty - from the decor to the prayers, and to the wonderful music. It was a smorgasbord for the senses. 7. It was joyful. Look at the face of that little Paige boy before the bride went down the aisle! 8. It was historic. Family trees stretch backward and forward through the centuries. These weddings are little moments of time that mark a turn in history. The next big royal wedding for a close heir to the thrown (Sorry Princess Eugenie, but that doesn't include you!) will be in 20 or 30 years. That's what made this wedding, the wedding of Princess Diana's second and last son, a big deal as well. Maybe that's also a reminder to our own families that wedding days aren't an everyday occurrence - they are generational, they are becoming exceedingly rare, and they are special. Surely that in itself is enough of a reason to celebrate! O mais importante em um casamento? Com certeza é ver toda a felicidade dos noivos!